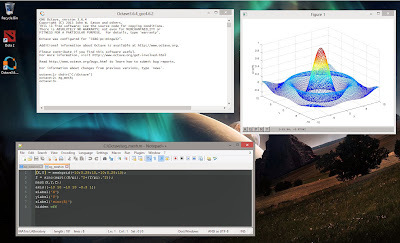 You can also write a MATLAB file with .m extension and use it. Use 'chdir' command to change the path and enter the file name with a semicolon at the end. To exit Octave, you can enter 'exit' or 'quit'. 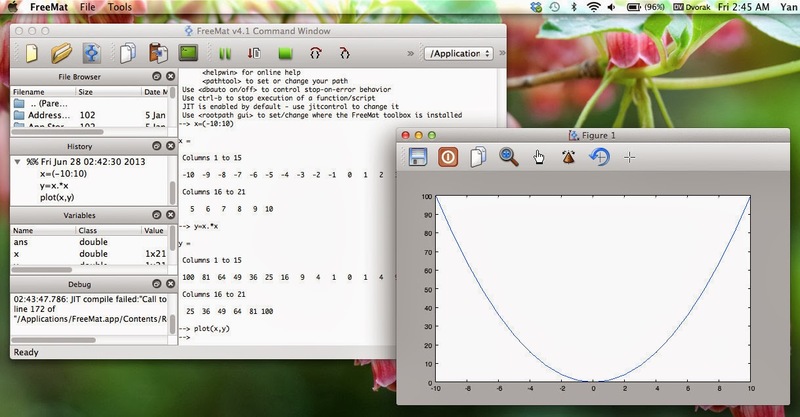 I used macports to install octave on OS X using the command- "sudo port install octave +gcc48". Package such as control package can be installed by entering the command "pkg install -forge control" in the octave command windows. For Ubuntu, the following commands can be used. I have also tried FreeMat. User interface looks better and easier than Octave. But some MATLAB commands are not compatible to FreeMat.